An Apple employee has filed a complaint against US border agents after they allegedly demanded he hand over his iPhone and MacBook. 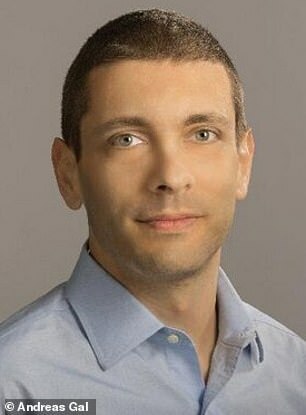 Engineer Andreas Gal was returning home to San Francisco International Airport following a business trip in Sweden in November 2018, reported ABC News. Three armed US Customs and Border Protection (CBP) agents detained Gal for an hour, asked him about his job at Apple and his previous job at Mozilla, and demanded they be allowed to search through his iPhone XS and MacBook Pro. However, Gal told the agents that the phone and laptop are owned by Apple and he was worried about revealing its contents due to a non-disclosure agreement he signed. 'Because I was uncertain about my legal responsibilities to my employer, I asked the agents if I could speak to my employer or an attorney before unlocking my devices,' Gal wrote in a post on Medium about the experience. Gal told ABC News that he's gone on more than 100 business trips in the past and has never been stopped before. 'They told me at the border, even as a US citizen, I don't have any rights to an attorney,' Gal told the station. The officers allegedly threatened him that he failed to hand over his devices, he would be in violation of federal criminal code. Gal was allowed to leave, but the CBP officers confiscated his Global Entry card and revoked his status, which allows him to go through expedited security lines when traveling to the US from abroad. 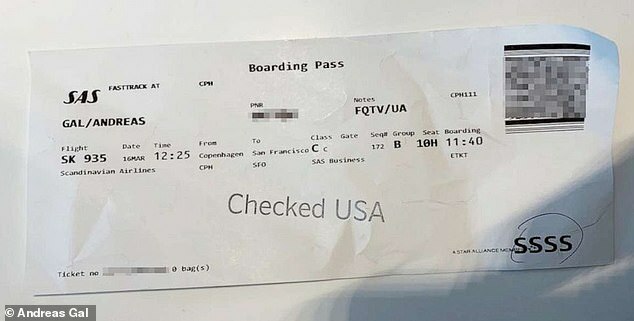 He said that on his following trip to Europe - specifically Copehagen, Denmark - his boarding pass said 'SSSS' in the corner, which stands for secondary security screening. In the complaint, which was filed on his behalf with the American Civil Liberties Union of Northern California, Gal says the incident violated his rights under the First and Fourth Amendments. Gal mused that he might have been stopped because of his outspokenness on online privacy or his political views. 'My past work on encryption and online privacy is well documented, and so is my disapproval of the Trump administration and my history of significant campaign contributions to Democratic candidates,' he wrote on Medium. CBP said it was not able to comment on the case due to an ongoing investigation and pending litigation. 'Keeping America safe and enforcing our nation's laws in an increasingly digital world depends on our ability to lawfully examine all materials entering the US,' a CBP representative wrote in a statement to CNBC. Gal said that the experience has made him fearful of traveling and that he doesn't know what agents were looking for. There's no such thing as a cursory inspection of the contents of your cell phone,' he told ABC News.